39.) Prince Charming - Harry James & His Orch. 41.) You'll Never Know - Willie Kelly & His Orch. 46.) 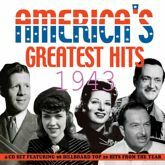 Let's Get Lost - Kay Kyser & His Orch. 56.) Comin' In On A Wing & A Prayer - Willie Kelly & His Orch.